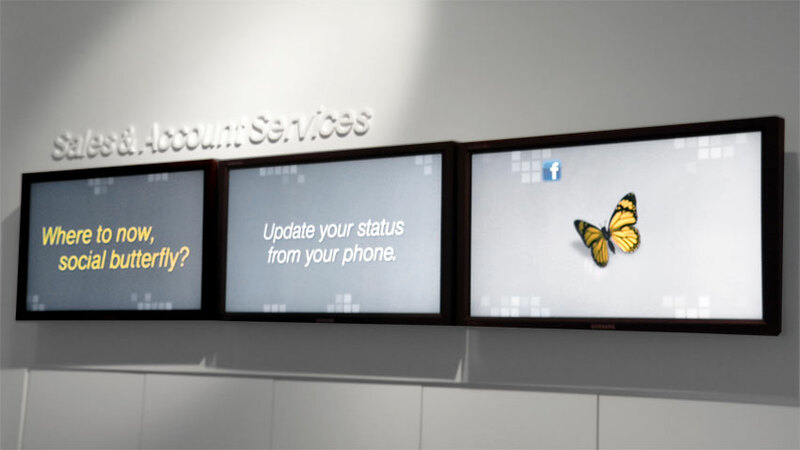 Set of animations for various ribbon monitors inside of the Sprint Studio store in Kansas City. 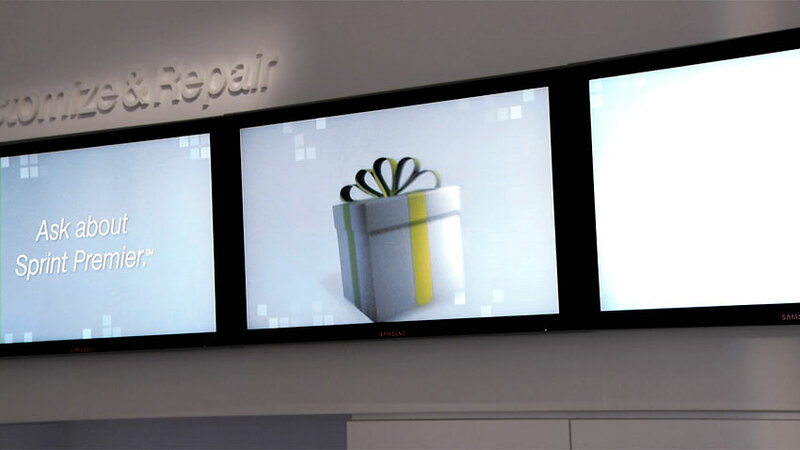 The animations were developed for either 3 or 5 panel displays that were set up at various points inside of the store to showcase some of the latest incentives for becoming a Sprint customer. Contracted by Two West.